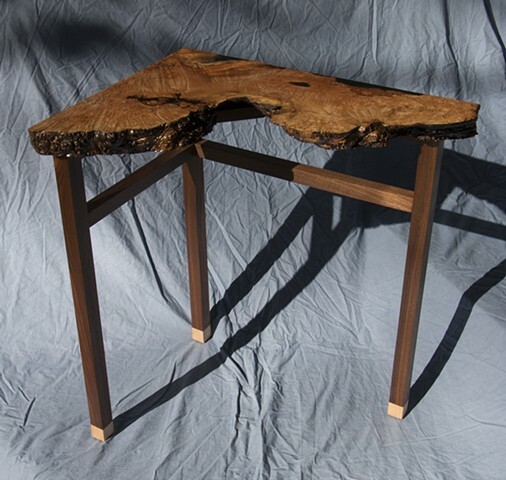 This corner table has a beautiful maple burl top that has curly or "tiger" grain patterns and chatoyance. The base is walnut with curly maple toes on the legs. L 26" W 19" H 30"